Just got back from a wonderful motorcycle ride up and down Hwy 1 to Carmel California for The Quail Motorcycle Show, This event has been going on for about 8 years and really has become a world class event. I rode up Friday with a group of my motorcycle friends. Riding a motorcycle up Hwy 1 is about my favorite activity to do with wheels. I have ridden all over the world and I have never been on a better road than Hwy 1 for spectacular views and a fun, twisty road. One of the things I love about riding my motorcycle is it is one of the few activities I can still do at 65 as I did at 25 and still enjoy it as much! Friday night my wife Bonnie met me in Monterey and a group of us went out for dinner. Saturday I spent the day looking at an amazing collection of classic, modern, and custom motorcycle. Also saw a lot of old friends. Over the years I have sold hundreds and hundreds of motorcycles. At events like this I usually run into someone I sold a motorcycle to. I rarely remember them but I say high when they know me and pretend to remember. While I forget the buyers I usually remember the motorcycle I sold them. This time a man came up to me like I was an old friends and reminded me I so him a motorcycle that he still has.. Not only did I not remember him, I didn’t remember the motorcycle either?!?!?! Is senior citizenship setting in? I tool LOTS of photos so if you want to get a good feel for the show. You won’t believe how many variations of a vehicle with just two wheels and a motor there can be so go to my Blog below and see. 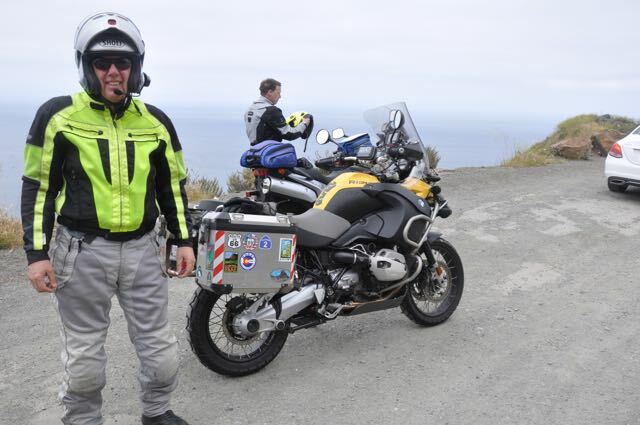 I have also been asked a lot lately when my next motorcycle trip happening so I will start sending out reports again . First I am pleased and amazed that people actually read my reports and look forward to them! Second stay tune until Sept 5th when I take off on another epic 8 week motorcycle trip! There sill be lots of stories and photos with that one.. More details to follow. This is Brian, a friend I have just started riding with in the last year or so. I really enjoy riding with him, he is an extremely competent rider always in control and keeps a good pace. Also at the end of the day he is a smart guy, interesting to talk to and a nice guy.. Above and below were the two motorcycle I showed. 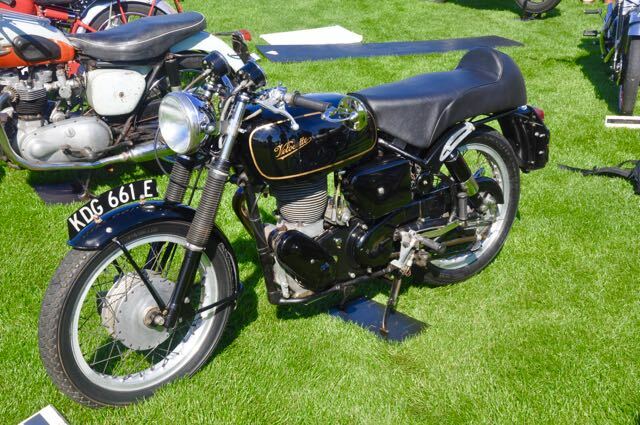 A 1966 Velocette Thruxton and an Eglis Vincent.. I have to thank my wife Bonnie for indulging me and for my Friend Duane that sacrificed riding him MC up and towed these up for me to display at the show..
Two of my favorite classic motorcycles and I am lucky enough to own two similar motorcycles,,, A BSA Goldstar Clubman and Velocette Thruxtion.. Great bikes! 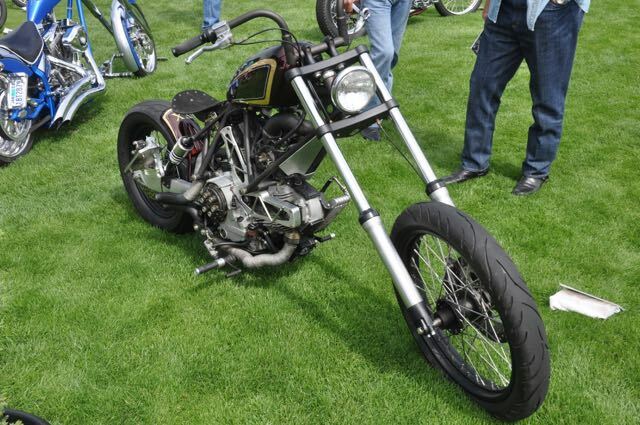 Another favorite,, A Vincent Blackshadow! Finally a really good looking performance electric motorcycle!! A Chopper Ducati is a crime against nature.. The owner should be shot!! Why take a great performance motorcycle like a Ducati and make it into this useless piece of ?? The owner of the motorcycle thanked me for selling him the bike many years ago… Not only did I not remember him, I didn’t remember owning the bike.. IS this a sign of old age or just having owned to many motorcycles?? They guy that kicked this motorcycle all day called in a friend to kick it for a while when he got to tired. 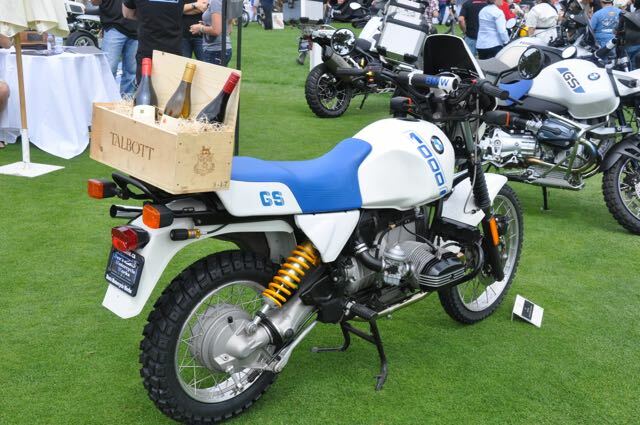 What a great accessory for a motorcycle,,,,,, a wine rack! 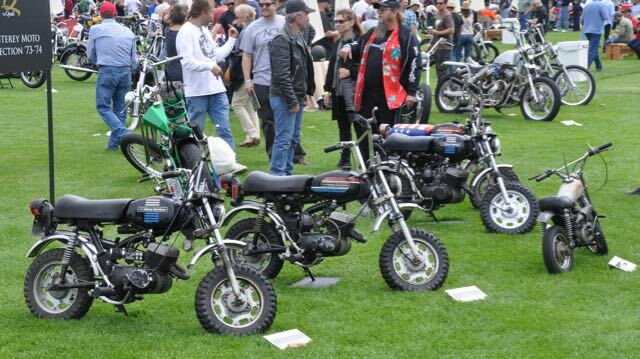 Even mini bikes are considered collectables.. From what I have seen in the classic car and motorcycle market what makes a collectable vehicle is either outstanding style and engineering, or a just a vehicle we all grew up with. I like a nice original unrestored bike. 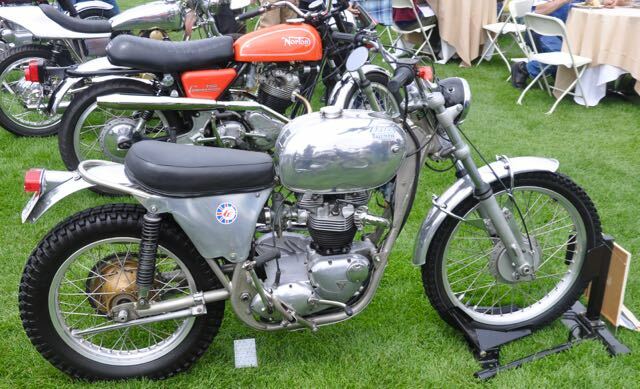 When I was young I lusted so much for this bike.. 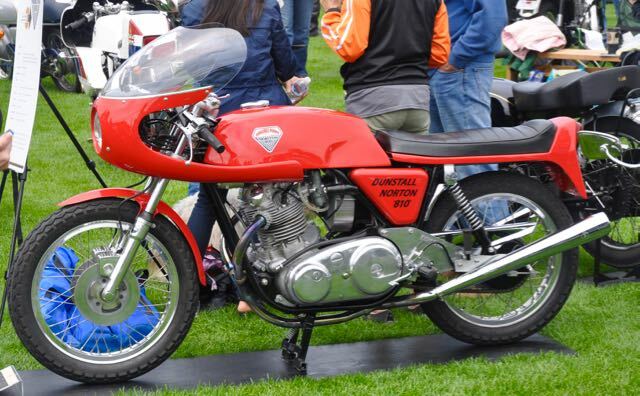 In the early 1970s this was a very rare motorcycle that was hands down the fastest bike on the road. My attempt at an “ARTSY” photo of the reflection of one motorcycle in the tank of another motorcycle I own.. Even the parking lot had interesting motorcycles..
On the way home on Hwy 1 we stopped for a cold drink and the view! Is this a view or what!?!?!? I am very lucky to live where I do. right here, really like what you’re stating and the way through which you say it. Hi, its pleasant paragraph about media print, we all be familiar with media is a great source of facts. Greetings! This is my first comment here so I just wanted to give a quick shout out and tell you I truly enjoy reading through your blog posts. I think that is among the such a lot vital info for me. And i am glad studying your article. topic to be actually one thing that I believe I would by no means understand. I for all time emailed this weblog post page to all my associates, since if like to read it afterward my links will too.